The region of Labuan, Malaysia, is an attractive business destination. Investors have several options when investing in Labuan. Businessmen interested in company formation in Malaysia can set up two types of commercial companies, but they can also open investment funds. The authorities in Labuan offer the opportunity of investing in a private fund, which can be set up in accordance with the number of investors. Our team of company formation representatives in Labuan can offer an in-depth presentation on the characteristics of a private fund. Foreign investors who are interested in opening a company in Malaysia can set up their operations in Labuan through a private fund, also referred to as a mutual fund. In order to open a private fund, the investors will first have to set up a Labuan company. At the same time, the investors can set up the private fund through a corporation, a partnership or a foundation. The mutual funds in Labuan are regulated by the Labuan Financial and Services and Securities Act 2010. The local authorities also provide a regulation for the mutual funds established under the Sharia Law, which are regulated by the Labuan Islamic Financial and Services and Securities Act 2010. It is good to know that the private fund does not need to be registered with Labuan FSA, but a notification in this sense is mandatory. Such fund is normally in the attention of entrepreneurs who are interested in mutual funds where the members can exchange the rights involved. The flexibility of a private fund in Labuan is among the advantages which will in many cases be considered once such investments are decided for Labuan, an important offshore destination in Malaysia. Let our team provide you with complete support if you are a foreign investor looking to incorporate a company in Malaysia, in compliance with the local laws. 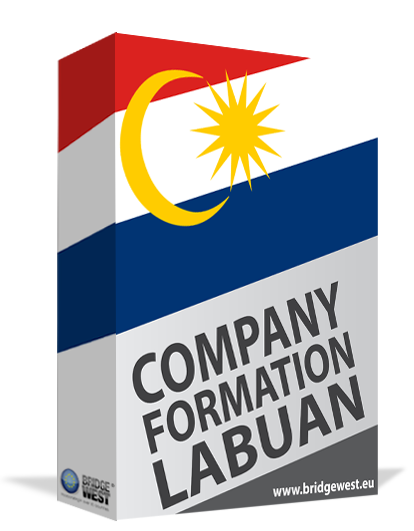 Our team of company formation agents in Labuan can offer more information on this procedure. • private funds which allow any number of investors, whose contribution must be of minimum RM 500,000. There are many advantages to consider when deciding for a private fund in Labuan, and among these, no taxes for the investment holding structure, the possibility of working in multi-currencies, and with multi-risk instruments. Moreover, there is no withholding tax imposed and no capital control for a private fund in Labuan. However, a flat tax of RM 20,000 should be considered at the time you intend to open a private fund in Labuan which represents the corporate tax. What is the investment strategy for a private fund in Labuan? Opening a private fund means having a solid strategy that can involve the investment policies and the key features of the fund like the price of the shares, the potential risks of investing the funds and if unlisted securities will be considered. Likewise, the borrowing limitations and the investment of the funds are also part of the strategy created for a private fund in Labuan. On the other hand, knowing the risks through a short analysis might help the investor take the best decision regarding the private fund. What is a financial forecast of a private fund in Labuan? Having a predictable cash flow and profits, plus the investment policies of a private fund in Labuan is definitely important at the time an investor decides to set up a private fund in Labuan. Information about the fund’s strategy and complete financial reports should be provided at the time a financial forecast for a private fund is prepared. We remind that our company incorporation agents in Labuan are at your service with ample details about the ways in which you can start a business in Malaysia or create an investment fund in Labuan. Businessmen interested in further information on the private funds in Labuan are invited to contact our team of company formation consultants in Malaysia.